Remember when you were little and you tried to have a haunted house? Back then, your mom and dad stood behind doors and made spooky sounds, your big brother dressed as a werewolf, and you spent hours peeling grapes to turn them into "eyeballs" for anyone who would touch them. Now, things are different. You're about to throw the Halloween blowout bash of the century, and you're leaving no stone unturned as you search for the perfect costume and decor. 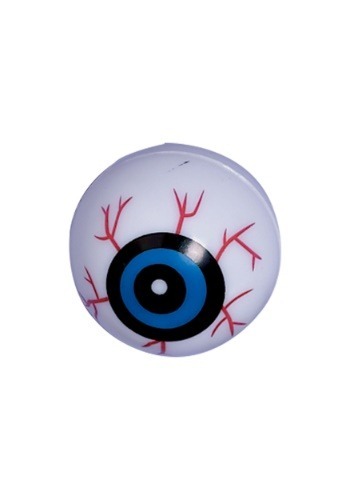 Might we suggest a few upgrades from your former party tricks, including ditching the grapes for this realistic Bag of Plastic Eyeballs? A truly memorable party is in the details, and a small switch like this could make all the difference! These scary accessories come 10 per bag and can be used in a number ways to up the spook factor of your shindig. Place them in a glass bowl for people to touch or let them afloat atop the drinks, freaking out anyone who looks down! Your party is looking up! Congrats! We heard through the grapevine that your party is the most talked-about shindig out there; the whole town is coming. It looks like all that attention to detail has really paid off!